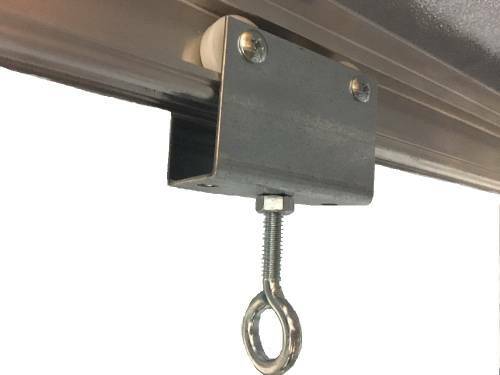 LightRail Fastener for Strut Channel Compatible Rail: This is the custom fastening system specifically made for mounting LightRail strut channel compatible Rails to commercial strut channel. And, that can be inline, perpendicular, at a 45, or at any angle and configuration. See below for details on these custom light mover rail choices. LightRail Fastener for Strut Channel Compatible Rail: This is the LightRail fastener for strut channel. And, it’s a custom fastening light mover rail system. 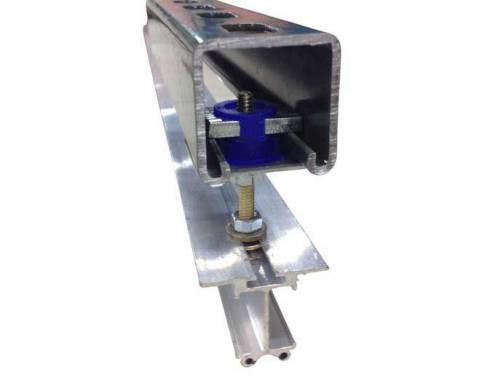 It is specifically made for mounting LightRail strut channel compatible Rails to commercial strut channel. And, this indoor grow system can be either inline, perpendicular, at a 45 degree, or at any angle. In other words, it works for any configuration. 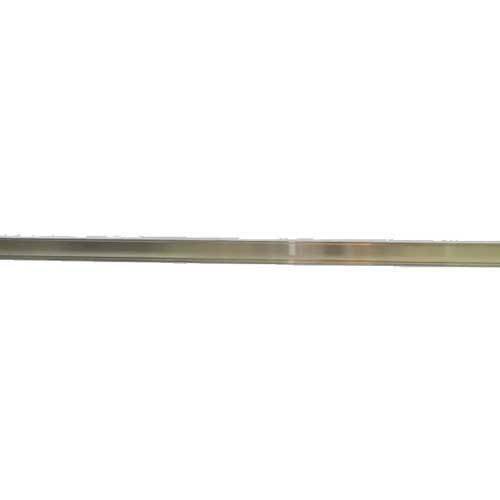 See how this works: Custom Unistrut Compatible Rails Available for Indoor Grow Setups. 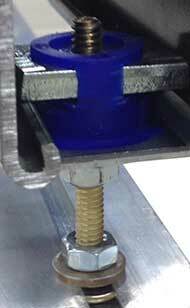 Note: This fastener is compatible with LightRail strut channel compatible Rails only. 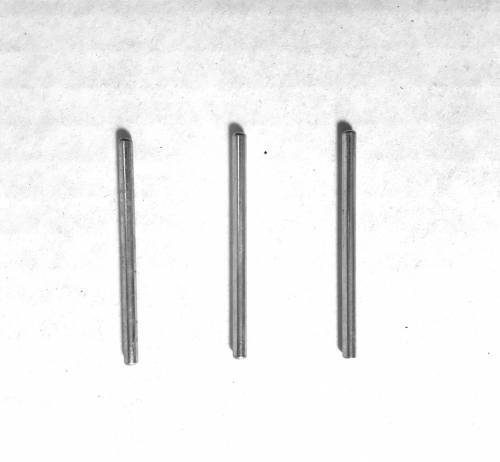 And, two of these fasteners come with each LightRail strut channel compatible light mover rail. They work with LightRail 3.0, LightRail 3.5, LightRail 4.0 and LightRail 4.20. But, they do not work with LightRail 5.0. 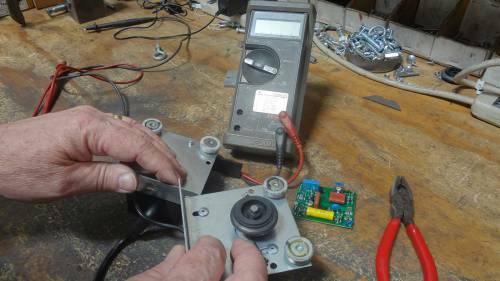 Hint: For heavier indoor grow lights, it is recommended to use one or two extra fasteners per light mover rail. And, that’s to achieve extra support for the full Rail length. How do LightRail light movers work?